Southeast Asian ride-hailing service Grab received a $1 billion investment from Toyota Motors, the Japanese company announced Wednesday. 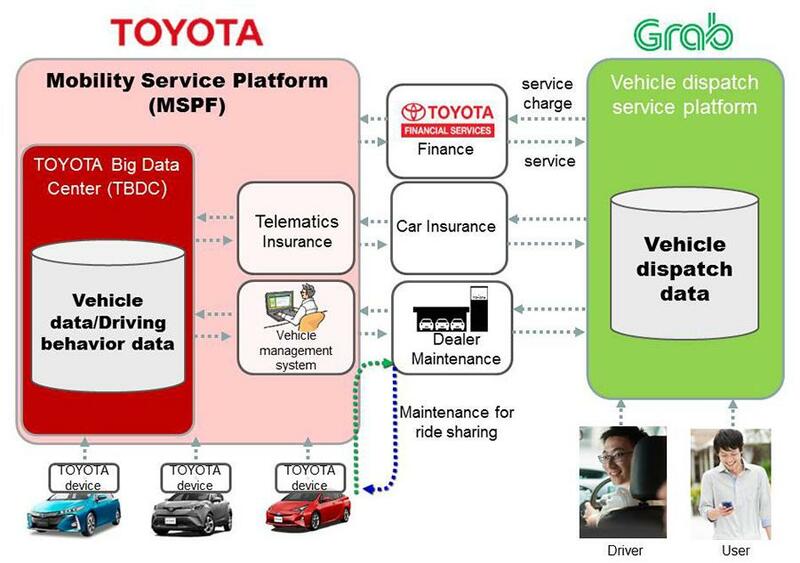 The two companies have already been collaborating since August 2017 for “developing connected services for Grab” and the new investment will strengthen that cooperation “to accelerate development of new mobility technologies,” Toyota said. The fresh investment in Grab is part of the company’s ongoing round of funding, which was started after it acquired Uber’s Southeast Asia business in March, in a deal that also included the food delivery business UberEats. As part of the transaction, Uber took 27.5 percent stake in Grab. Grab, a Singapore-based technology company, operates in over 200 cities in eight countries across the region, and other than transport, it also has services for food and package deliveries, and mobile payments. The company has existing investments from Japan’s SoftBank and Didi Chuxing, which had bought Uber’s China business in 2016. Those two companies had together invested $2 billion in Grab in July 2017. “Our rapid user and revenue growth is a testament to our ability to hyper-localise, efficiently execute and provide the highest efficiency platform in a region as diverse as Southeast Asia. We are honored to be supported by industry leaders including Toyota, Uber, Didi and SoftBank,” Grab president Ming Maa said in a separate statement. The transaction made public Wednesday “is subject to the satisfaction of certain closing conditions,” Grab’s announcement said. Shares of Toyota were trading 1.41 percent higher on the Tokyo stock exchange Wednesday afternoon, ahead of other auto stocks like Honda (up 1.07 percent), Nissan (up 0.23 percent) and Suzuki (up 0.54 percent).